Apple has sent out invites for a press event taking place on October 16. As The Loop reports, the teaser comes with the following strapline: “It’s been way too long.” Make of that what you will. 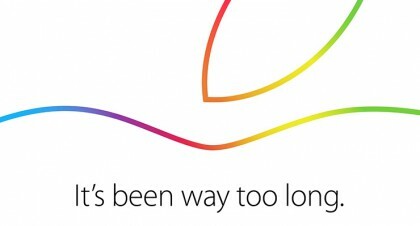 It will take place at 10am PT/1pm ET at the Town Hall auditorium on Apple’s Infinite Loop campus in Cupertino, according to 9to5Mac. So what can you expect at this particular Apple extravaganza? Probably a release date or the formal introduction of OS X Yosemite, in addition to new iPads and Macs. Nothing has been confirmed though, so we’ll just have to wait another eight days to find out what the company has in store.